I nest in Mom’s pillows and take up the head of the bed. Posted November 5th, 2013 . 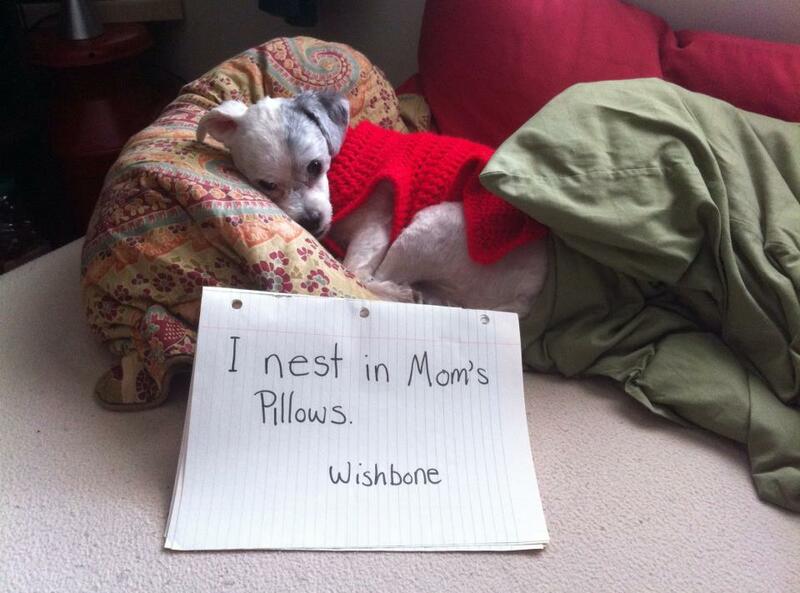 That is OK Wishbone. You can have all the pillows in the house and sleep where ever you would like because you are adorable! Since they smell like mom………..
Wishbone, you are sooooo cute! Human Shaming for not having enough blankets and pillows for a proper nest. just so long as it is soft, comfy and cozy to nap on. My dog, Goose, does this too, but she’s an 80 lb. boxer mix so it’s not as cute!